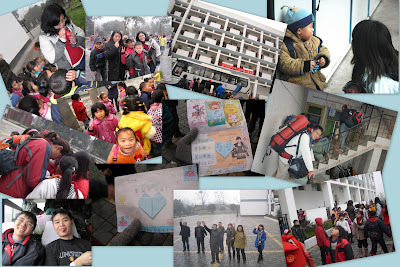 Coast-2-China: Day 10: ByeByes & Hellos!!! by Ms. Paparazzi X who adapted heavily from Ms. Paparazzi Y who wrote the following on behalf for Ms. Paparazzi Original. Any errors are solely the fault of Ms. Paparazzi X who has lost touch and therefore patience with blogger.com. This was our final day at You Zha Xiao Xue. It was a heart-wrenching moment for most of us, mainly because this school housed many memories for almost all of us. This is the place where we first forged our ties, and got acquainted to China-town. We ran through the very last of obstacle course with our upper primary students. 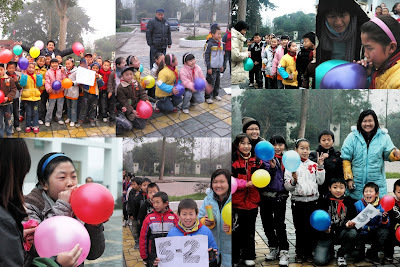 They had much fun with the free balloons after completing the game! With our heavy hearts, we packed our bags and left You Zha Xiao Xue. 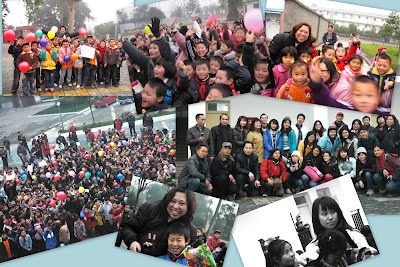 For the final time, we bade farewell to the children, teachers and He Zhu Ren for their patience and warm hospitality. 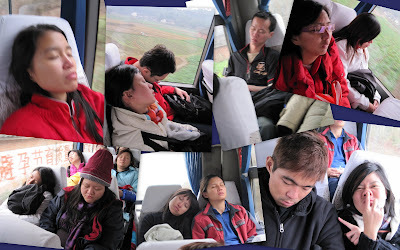 With much excitement, we embarked on a 3 hour bus ride to our next destination - 通济中学 (henceforth known as "Tong Ji Zhong Xue"), which is purported ten times colder than You Zha Xiao Xue because it is on much higher altitude. 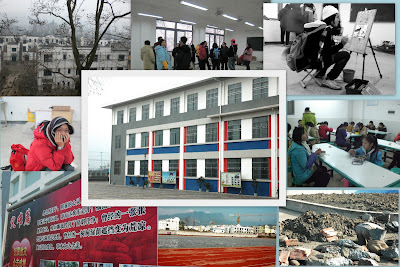 We explored our new resting place and to much glee, treated to a good lunch by the school. We gobbled up our feast and hailed a bus to Tong Ji Zhong Xue, where we were pleasantly surprised to find well-placed facilities and classrooms. 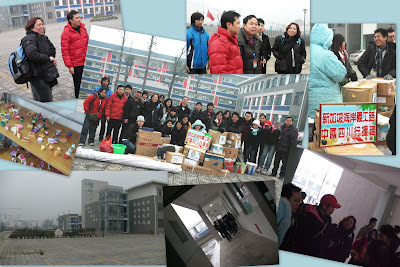 After we unloaded our cargo of paint, brushes, thinner and more, the principal and the art teacher-in-charge (Zhang Lao Shi) gave us a simple orientation around the school. Then, we were directed to the Psychology Room (on level 1) and the Multi-Purpose Room (on level 4) where we would be painting our murals. Due to the time constraint, we split into 2 groups to carry out the tasks; Ah Gong prepared drafts for the students for the paintings that will be supervised by Zhang Lao Shi after our departure for the walls along the corridors. Dinnertime came and we proceeded to the spacious canteen for our meal. Unlike the canteens we have in our school, these students will queue up for their pre-planned meals. It is all about equality, isn't it? The food turned out quite yummy, and the students there agreed that dinner was their favourite part of the day. I guess nothing beats chow-time when you have to be in classrooms from 9am to 7pm. Eeek! After dinner, we headed back to the Shan Zhuang, where there was an exciting blackout! We learnt from the owner of the Shan Zhuang that blackouts were pretty frequent especially since it was located in the disaster area. PLUS, since it is so brrr... it really didn't matter if we couldn't switch on the fan. Another night with the excuse of not taking shower. Woots!